Hand Simulator: Das sind die Systemanforderungen zum Spielen! Startseite » Unterhaltung » Spiele » Hand Simulator: Das sind die Systemanforderungen zum Spielen! Läuft Hand Simulator auf deinem Computer? Schaue dir jetzt die Anforderungen für deinen PC an um das Spiel von HFM Games zum laufen zu bekommen. Wir zeigen dir in einer einfachen Übersicht die Voraussetzungen um Hand Simulator auf deinem Rechner installieren zu können. There are many different levels where you can play with spinners, plunge into the subtleties of handling weapons, milk a cow, take part in a Mexican duel with your friends, have a good time fishing, play chess or simply chat in an anonymous club.. Hand Simulator ist ein Simulation Spiel von HFM Games. Veröffentlicht wurde es am 18. Juli 2017 von HFM Games. Hand Simulator is a game in which you control your own hands (You do not need a VR helmet, you just need a keyboard and mouse). There are many different levels where you can play with spinners, plunge into the subtleties of handling weapons, milk a cow, take part in a Mexican duel with your friends, have a good time fishing, play chess or simply chat in an anonymous club. Hand Simulator is a game where everyone finds entertainment for their tastes. - A lot of different levels. The game is developed every day; players´ most interesting ideas are inevitably realized. - Multiplayer. 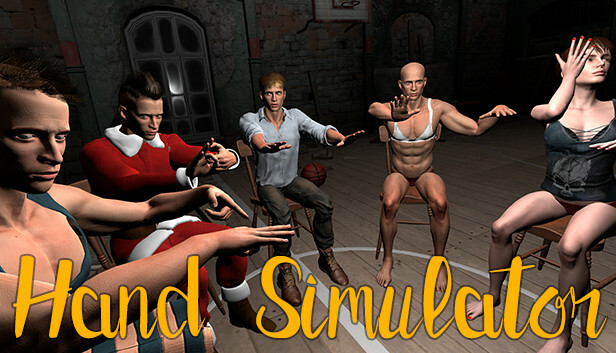 For online games fans there are many levels implemented in Hand Simulator; there you can have fun with your friends. - Detailed mechanics of weapons. In order to make at least one shot, you will have to work hard. - Achievements. In each level, both online and offline, there are tasks in the performance of which, you will receive achievements.